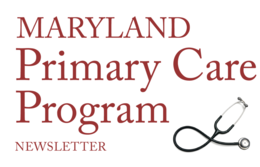 And now it begins… By the time you are reading this newsletter, much has already been done in the run up to the start of the Maryland Primary Care Program (MDPCP) on Tuesday, Jan. 1, 2019. The Care Transformation Organizations (CTOs) and practices have been notified of their provisional acceptance into the program. For practices that have decided to work with CTOs, those pairings have begun. Over the ensuing three months, there will be additional documents headed your way for review and execution. Important to note, these are all time-sensitive documents with fairly short turnaround times. Please make every effort to review and execute the documents in the prescribed time frame. We do not want a missed deadline to cause anyone to be eliminated from the inaugural year of the MDPCP. This is also a time to think carefully about your interest in participating in MDPCP. There are great rewards for providers and patients alike in the program, but with the rewards come great responsibilities. Together, we are taking bold steps to change the way we deliver health care in Maryland and the eyes of the nation are on us. It will take a significant effort to achieve the goals of Advanced Primary Care and make significant gains in quality, while reducing the overall total cost of care. Our Maryland primary care physicians, nurse practitioners, physician assistants, and teams are well positioned to lead the nation in these important initiatives, but not without a strong commitment to doing so. The MDPCP Program Management Office (PMO), together with our partners at the Center for Medicare and Medicaid Innovation (CMMI), will continue to provide you with technical assistance on completion of documents and be available to answer all of your questions. 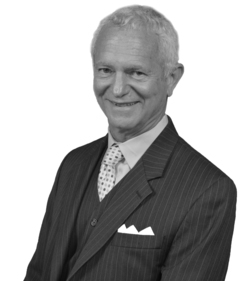 We sincerely look forward to working with you now and throughout the program. For more information, please see the new Resources for Preliminarily Approved Practices section on our website. The PMO hosts many events to educate stakeholders about the upcoming MDPCP. Events include in-person meetings and online presentations. MDPCP Care Transformation Requirements Overview: Care Management Webinar — Thursday, Oct. 11, 5 to 6 p.m.
MDPCP Care Transformation Requirements Overview: Comprehensiveness and Coordination Webinar — Thursday, Oct. 18, 5 to 6 p.m.
Maryland Rural Health Conference Presentation — Tuesday, Oct. 23, 11:45 a.m. to 12:45 p.m.
MDPCP Care Transformation Requirements Overview: Beneficiary and Caregiver Experience Webinar — Thursday, Oct. 25, 5 to 6 p.m.
MDPCP Care Transformation Requirements Overview: Planned Care for Health Outcomes Webinar — Thursday, Nov. 1, 5 to 6 p.m.
One of the comprehensive primary care functions of advance primary care is the requirement to convene a Patient and Family Advisory Council (PFAC). Our partner, the Maryland Health Care Commission (MHCC), is working with the Institute for Patient-and Family-Centered Care to develop a Maryland PFAC Guidance Document (guide) that can be used by practices. The guide will detail how patients and families’ points of view, perspectives, and experiences can be integrated into care delivery. It will describe specific practice strategies that effectively engage patients and caregivers to guide improvement in the care system. The MHCC seeks feedback from practices to inform development of the guide. Practices are not required to have a PFAC to participate in field testing. Practices will receive an honorarium for their participation. If you are willing to field test the guide, please sign up by Monday, Oct. 22, at: https://www.surveymonkey.com/r/V2ZC8FT. For additional information, email Mary Minniti at: mminniti@ipfcc.org. Thank you in advance for your help! For a detailed overview of upcoming program milestones, please see our updated timeline.